It’s pretty simple. Cyber crime is innovating much faster than the security industry is. Traditional antivirus software is designed to block file-based malware. It works by scanning files on the hard-drive and quarantining any malicious executables it finds. This solution was fine in the early days of security software, but attacks have evolved to bypass this kind of protection in a number of ways. In this post, we look at the five most common cybersecurity threats that can bypass traditional AV solutions. Take a look at any public malware database like VirusTotal and you’ll see the same old threats being uploaded on a daily basis. A lot of common malware is re-generated – sometimes as often as every few hours – with a completely different file hash. Some malware changes its content based on local device parameters, resulting in a fresh hash every time they run. It used to be a great idea, but the rapid recycling of old samples into what legacy AV would see as a “new” threat has reached such epic proportions that it’s impossible for hash-based solutions to keep up. This is easy for attackers to do: a single byte added to a file will change the resulting hash. The purpose of such tinkering is to defeat signature-based AV tools that rely on checking a file’s hash against a known database of malware hashes. 2. Advanced Threats – If It Ain’t Known, It Ain’t Shown! YARA rules were a great step-forward and are deployed by many AV solutions, but there’s two problems that make it easy for malware to avoid detection by such rules. Second, and more problematic, is that this technique relies on the engine having already seen the malware at least once in order to analyze it and develop a rule for its detection. That means the defender is always one-step behind the attacker, and sometimes a window of a few days is enough for attackers to get in and out of their targets without detection. 3. 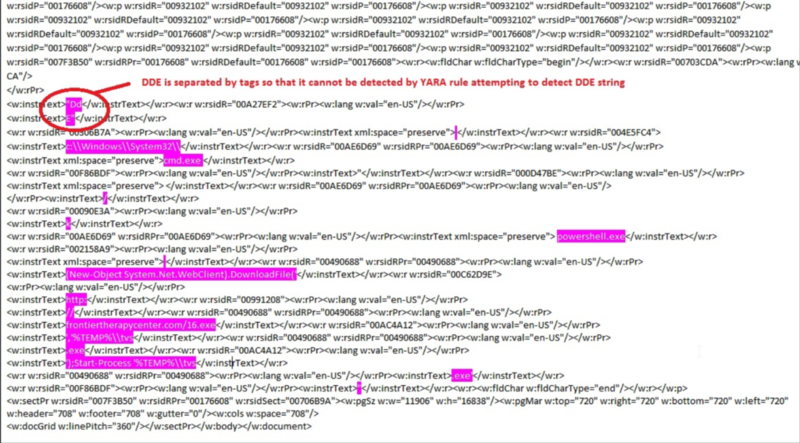 Malicious Documents – When Is A Doc Not A Doc? Sometimes a maliciously-formatted document is used to exploit vulnerabilities in the opening application to achieve code execution, rather than relying on functions like macros. Such documents depend on coding errors in the application that can lead to a buffer overflow or heap spraying, a technique whereby embedded shellcode is written to multiple memory locations in the hope that one or more will allow execution of the attacker’s code. Adobe Reader and Microsoft Office are popular targets for these kind of malicious documents both because of their ubiquity, and – at least, in the former’s case – a history of repeated vulnerabilities. When most people think of malware, they typically think of some kind of malicious file that gets downloaded onto their computer and starts to cause damage or steal personal data. 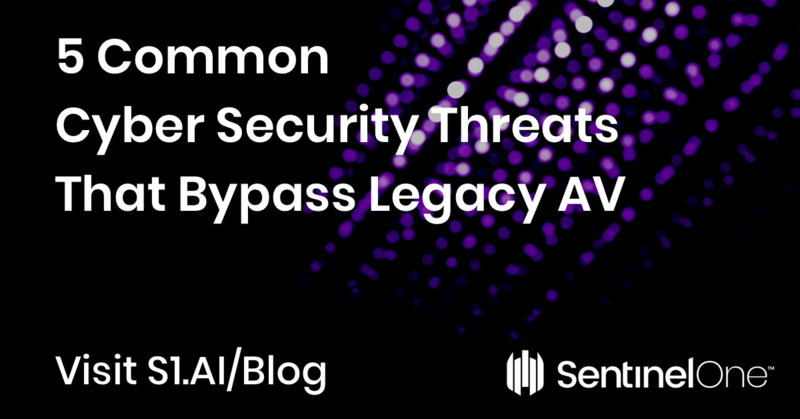 In the last few years, however, attackers have realised that traditional AV solutions have a gaping blindspot: malicious processes can be executed in-memory without dropping telltale files for AV scanners to find. 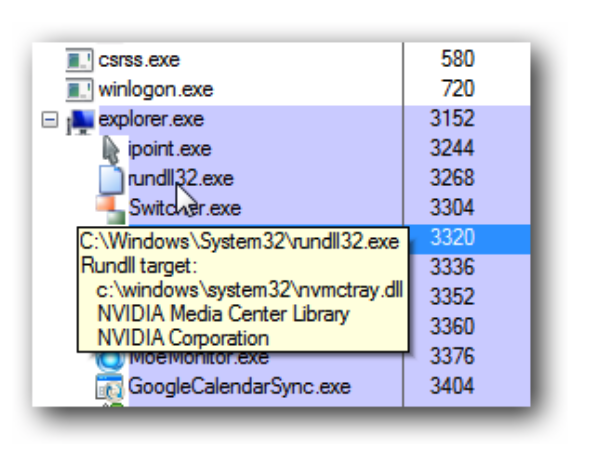 What makes fileless attacks so difficult for traditional antivirus software to spot is the fact that they typically subvert trusted processes, such as PowerShell and rundll32.exe – an essential Windows executable that loads dynamic libraries of shared code for other programs. Another blindspot for legacy AV is encrypted traffic, which thanks to pressure from Google and others has now become the norm for most websites. While https and SSL certificates are a great way to help secure your communications with a trusted website, they just as “helpfully” protect attackers’ communications, too. Malicious actors can hide their activities from inspection by ensuring, just like regular websites, that traffic between the victim and the attacker’s command-and-control (C2) server is protected by end-to-end encryption. Recent figures also suggest that nearly half of all phishing sites are now using the secure httpsprotocol to mask their activities from both users and much security software. Malware and malware authors haven’t abandoned their old techniques, but they’ve added significant new ones to counter the moves made by traditional AV software some years ago. 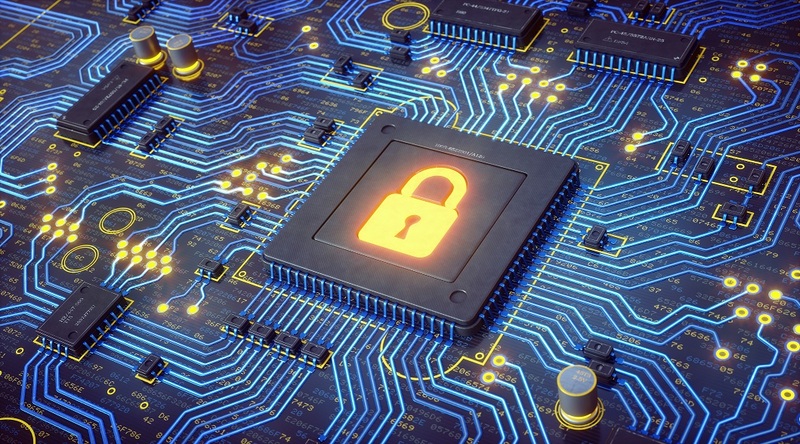 Once upon a time, signature detections and YARA rules might have provided “good enough” defense, but these days any solution that’s not deploying a behavioural AI engine with machine learning is going to be outwitted by today’s attackers. With phishing, ransomware and cryptomining all on the increase, the modern business needs a modern solution. Copyright © 2019 Terra Nova Team. All rights reserved.